This time, I made a vegan version of my traditional Banana bread, with no added sugar-NONE! 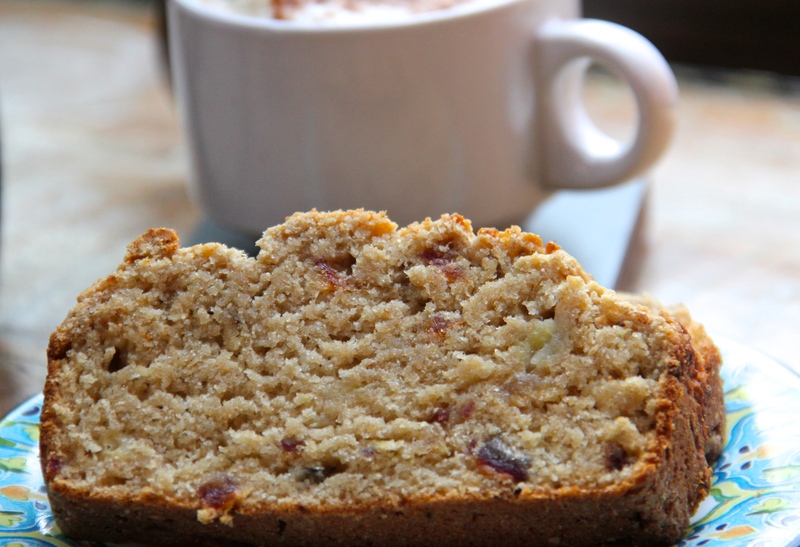 The dates and bananas are the only source of intrinsic sugar in this delightful wholegrain dessert bread! Although your banana bread recipe looks awesome I’m rather surprised that you would choose such a controversial oil, rapeseed/canola over coconut, palm, olive or safflower oils. Case in point, Canola is a genetically engineered plant developed in Canada from the Rapeseed Plant! Just thought I’d share my thoughts. I’ll definitely make the bread but with a much healthier oil. Canola oil??? That’s not healthy at all ?? 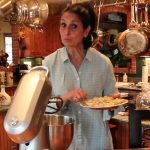 You’ll find that I prefer to use canola oil in my baking because it’s a good source of monounsaturated fats, and it is the richest cooking-oil source of alpha-linolenic acid which has been linked to heart health. I also posted a little video clip by my husband, world-reknown nutrition expert, about why I prefer canola oil. THANK YOU!!!!!!! I just discovered your husband’s work and cuisinicity! YOU both seem to who I needed to break through all the fog and hype out there regarding oils, nutrition & heart and brain healthy yet DELICIOUS eating! YOU ARE SO WELCOME PAM!! I LOVE your enthusiasm, I can almost hear you! Welcome to the Cuisinicity table! Bon appétit!